We’d love your help. Let us know what’s wrong with this preview of The Storyteller by Jodi Picoult. Sage Singer is a baker. She works through the night, preparing the day’s breads and pastries, trying to escape a reality of loneliness, bad memories, and the shadow of her mother’s death. When Josef Weber, an elderly man in Sage’s grief support group, begins stopping by the bakery, they strike up an unlikely friendship. Despite their differen Some stories live forever . . . 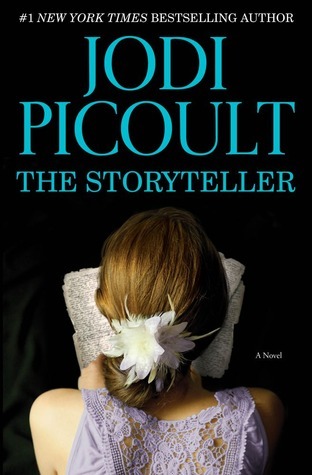 Which book by Jodi Picoult do you like the most and which one do you recommend after The Storyteller? Margaret Lehman The Pact, one of Jodi Picoult's earlier books. It was so good that I have tried to read all of her books. Jodi Picoult has tackled yet another ‘big issue’ (forgiveness) in The Storyteller, but as in all her books things are a little more complicated than usual, and there’s her wow-didn’t-see-that-coming twist as well. Sage Singer is a loner. She works as a baker through the night, only befriending a few people, hardly ever talking to the customers, always staying behind the scenes in the store where she works. She has terrible scars on her face from a frightful accident, something she’s struggling to cope with – psychologically as well as physically – every day of her life. But it doesn’t stop her baking. Throughout the book I could almost smell Sage’s breads, the beautiful breads taught to her by her Jewish grandmother – and desperately wanted to taste them. Over time an unlikely friendship grows between her and an elderly customer in the store – Joseph Weber. And then, in a completely unexpected moment, Joseph asks Sage to kill him. He can’t live with the memories of what he’s done in the past... and tells her why he deserves to die. His story – and Sage’s grandmother’s story, a survivor of Auschwitz – are confronting and shocking. You might think that this is ‘just’ another book about the Holocaust, but it isn’t. It is a privilege to read it; an honour to remember those whose lives were abruptly terminated in such terrible circumstances. We must not forget them, and we must learn from the mistakes of history, even if this means we metaphorically ‘gird our loins’ to read on, saddened and horrified and, yes, sickened at times. So is it worth the angst, the reader pain? Yes it is. Of course it is. Woven through Jodi Picoult’s book is a fable, as it were, of fiction imitating life – or is it life imitating fiction? It’s told by Sage’s grandmother, and the ending is both confronting and unusual. It adds to the richness of the book, and it weaves the story of her grandmother and Joseph Weber together. The Weapons an author has at her disposal are flawed. There are words that feel shapeless and overused. Love, for example. I could write the word love a thousand times and it would mean a thousand different things to different readers. Love isn't the only word that fails. And hope. Oh, yes, hope. So you see, this is why I never told my story. If you lived through it, you already know there are no words that will ever come close to describing it. And if you didn't, you will never understand. Gosh, this book.. THIS BOOK! It was the ruination of me in a thousand, soul-shattering ways. It made me feel things as a reader that I didn't know I was even capable of feeling. This is one of those books that seeps into your bones and slowly settles itself into your soul; leaving a permanent imprint upon your heart. Yet, as the above passage from the book describes, some ideas and emotions simply cannot be put into words. I feel that this book is one of them. It was an extraordinary feat, accomplished by Jodi Picoult. Her talent is put on full blast in this novel. I am eternally grateful that my dear friend pressed this book into my hands and said, "you simply must read this." Words.. cannot convey the feelings I had upon turning the last page. Nor are they adequate in describing the gratitude I felt for my friend that shared this masterpiece with me. There's another story (view spoiler)[about a vampire. No, I'm not joking. (hide spoiler)] that is narrated in parallel. It has allegorical meaning in the context of the book (view spoiler)[but feels like fan-fiction sometimes. (hide spoiler)]. I wish this story was kept separate, maybe like a prologue/epilogue to each part. It's jarring to go from SS officer in one chapter to (view spoiler)[blood-thirsty vampire (hide spoiler)] in the next. This book was ok. I have read pretty much everything Picoult has written, and I'm also a massive history buff, so I looked to this book with very high hopes. Don't get me wrong, I liked this book - for reasons outlined by many of the other reviewers on this site. So for something a little different, I thought I would provide a few suggestions I would have made if I was Picoult's editor. This is because I've started to notice in the last few books there are gaping continuity errors that reveal bigg This book was ok. I have read pretty much everything Picoult has written, and I'm also a massive history buff, so I looked to this book with very high hopes. This is because I've started to notice in the last few books there are gaping continuity errors that reveal bigger editing problems. This isn't surprising - as Picoult releases a book a year on a specific date, and this deadline must be met, and who would argue with a best-selling author? 1. Go read Markus Zusack's "The Book Thief." The Holocaust is a social scar that can go some way to healing, but should not be allowed to be covered up like Minka's long sleeves. But Holocaust stories need to either be meticulously researched (or you get people complaining about historical errors) or it has to be absolutely emotionally honest, which is why I suggest Zusack. This is because he is able to communicate the fear, uncertainty, moral reactions and other emotions his characters feel going through the events of the Second World War - but the key difference is that he does this by showing, not telling, the reader what his characters are feeling. It's actually quite common in your work to read passages where characters just tell the reader what they feel - rather than allowing the reader to interpret this through other means. Trust the reader, they're smart. Many of the characters needed more to them. This is something that kind of underpins a lot of my other suggestions - but for example, if Leo had experienced the effects of bullying (either victim, witness or perpetrator - at school or at home) this would have been a lot more engaging and explained his choice of career. Why would a nun leave a convent and then start a bakery? Nobody should be an "extra" - and while you don't need to have a total backstory for every single character, even the more central characters need more meat on their bones. There are a lot of ideas and plot opportunities go nowhere. Two examples are the grief counseling support group and the "Jesus loaf" that attracts thousands of pilgrims to the bakery. They just sort of....stop. Right at the very end Sage says something to the effect of "Oh, the therapy group, remember, I used to do that. I haven't been for a while, but despite the possibility of self-harm nobody's thought to check up on me." I assumed these would play a much bigger role in the story, but obviously not. 4. Sage's sisters - Rosemary and Thyme. Sorry, Salt n Pepper. What? Xanthum Gum and Baking Soda? Again, apart from the ridiculousness of the names, you have to either make them go the full Regan and Goneral - there was the perfect opportunity for them to openly and loudly reminisce about their parents' funeral later in the book - or make them more forgiving towards the end. Religion is present throughout this story, but faith is noticeably absent. How would a teenage girl, incarcerated and facing death because of the world has turned against her religious faith, make peace with a God and a society that put her in this situation? 6. Out of the rich smorgasbord of European and Jewish mythologies including death eaters, Golems, soul stealers and shape-shifters, you had to go the full Twilight with the Ania and Alecks story, didn't you? This is not the story a 1930/40s teenager facing the total and complete end of the world would write. This is the story a modern teenager who, like, is totally facing the end of the world because Mom says I'm not allowed to check my status until I've started my homework and she made peanut butter cookies when she knows choc chip are my favourite...would write. 7. Let's just tear up these last five pages, shall we? In "Keeping Faith" the whole book was driven by the question of whether the little girl really was experiencing messianic abilities (such as stigmata) or if she was faking it all along. The ending was ambiguous, and it was wonderful. Book clubs all over the world talked late into the night and opened yet another bottle discussing this. It's made people go back and re-read the book. It made the book amazing and memorable. Likewise, this book was driven by two questions. One was whether Sage would do what Josef asks - and ending on her arrival at his house would have been fine. She has still gone through character development and thoroughly explored the consequences of her actions. It's fine to fade to black there. So this is not just why the ending made me very disappointed in you, young lady, but it's also why I think some of the other characters didn't feel very realistic. They were too good. Why couldn't Leo do something that would compromise his burgeoning relationship with Sage? Why couldn't Minka do something that would get someone else in trouble in the camp but benefit herself or her friend? What if Minka's father had done something bad? And this would incorporate the concept of the "Storyteller" into the book more thoroughly - the stories we tell ourselves to justify our actions. What stories does Sage tell herself to make it okay to knowingly sleep with a married man? What stories does Minka tell herself to assuage some of the guilt of being the survivor? Jodi Picoult is one of my adopted authors. This means I enjoy her books and want to share them with others so I donate the cost of each to our library. I get to read the book first, allowing the library, the community and myself to reap the benefits. It's definitely a win-win deal. I have not loved all of Picoult's books but have always respected the determination and marketing savvy she has shown since she began her career. So what did I think of her latest? The Storyteller is told in much the s Jodi Picoult is one of my adopted authors. This means I enjoy her books and want to share them with others so I donate the cost of each to our library. I get to read the book first, allowing the library, the community and myself to reap the benefits. It's definitely a win-win deal. The Storyteller is told in much the same way as many of Picoult's stories, using narrator viewpoint to lay it out. Sometimes this works for me and sometimes not. This time her formula worked and I was thoroughly engrossed from page one right through to the end. The Storyteller is one of those books that is extremely hard to talk about without spoilers. This alone makes it a good pick for book discussions. Picoult has taken what could have been one amongst the many holocaust fiction historicals and made it her own. She did borrow from other works to put moral issues under the microscope, most notably, The Sunflower: On the Possibilities and Limits of Forgiveness by Simon Wiesenthal, in which a Nazi soldier seeks forgiveness. Sage Singer grandmother, Minka, is a holocaust survivor though Sage knows little of her story. When Sage grieves the loss of her mother in a bereavement group she meets and becomes friends with an elderly man with his own deep secrets. He asks Sage to kill him but only after she forgives him for something he will reveal. Though a primary theme twists love, hate, and forgiveness every which way, there are other stories to hear. Somehow Picoult manages to even weave in a vampire tale and make it meaningful. I have not enjoyed a book by Picoult as much as this in some time. The Storyteller reminds me why I started following her career to begin with. She has such a way with words taking the ordinary and making them sing. The one thing I wish she wouldn't do, she did and this takes some of my pleasure away. I can't tell you what as it is one of those spoilers. I hope Jodi Picoult decides to write more in the historical fiction genre rather than "pulled from the headlines" as I think she shines here. Over the past year I have made it a point to focus on trimming the books on my to read list, giving me little wiggle room for much else. When a friend on the moderating team of retro chapter chicks here on goodreads mentioned wanted to read The Storyteller to finally get it off of her to read list, I said that I would join her. With family joining me over a holiday weekend, The Storyteller would be a perfect book, one that does not require much attention on my part and would still be enjoyable. Over the past year I have made it a point to focus on trimming the books on my to read list, giving me little wiggle room for much else. When a friend on the moderating team of retro chapter chicks here on goodreads mentioned wanted to read The Storyteller to finally get it off of her to read list, I said that I would join her. With family joining me over a holiday weekend, The Storyteller would be a perfect book, one that does not require much attention on my part and would still be enjoyable. What I did not know was that The Storyteller may be chick lit on the surface but multilayered and a book that reads in more than black and white. Sage Singer is twenty five years old, is in the throes of an affair with a married man, is a master baker, and bares the reminder of her mother's death three years earlier from a scar running up and down her face. Sage thinks she is an ugly duckling, she is an atheist, her sisters Pepper and Saffron blame her for her mother's death, and she took the baking job so that she would be hidden from the small town community in which she lives. Besides the comfort that baking gives her, Sage's only console is in the form of a grief support group that she attends each week. It is there that she meets nonagenarian Josef Weber, who plays the role of her town's favorite grandfather. In their grieving, Sage and Josef become the least likely of friends. They play chess together on Josef's handcrafted set; Josef falls for Sage's baking and Sage falls for Josef's dog. The two become comfortable enough that Josef entrusts Sage with a secret-- that he is a former SS member of the Nazi party and has been living in hiding for the last seventy years. Because she is a Jew, Josef wants Sage to assist him in dying. To Sage, this is complicated, not just because to her murder means crime and prison time but because her beloved grandmother Minka Lewin is a holocaust survivor. To side with Josef would mean to betray Minka yet to kill a Nazi would mean to obliterate another 'bad guy' from the face of this earth. True to Picoult's style, she introduces Department of Justice employee Leo Stein, who is Jewish, a Nazi hunter, and also falls in love with Sage baggage in all. Together Sage and Leo get Minka to tell her story, to see if Josef really is who he says he is. Being that Leo hunts Nazis for a living, he brings another perspective that was already beginning to be read in gray rather than black and white. Together with Sage, Leo coaxes Minka to tell her tale in the hopes of bringing one more Nazi to justice. Readers find out that Minka Lewin was a typical teenaged Jewish girl living in Poland. She loved writing and together with her best friend Dariya dreamed of living in London and writing for a magazine. Minka worked after school where she happened to excel at German at her father's bakery where he would bake a special roll just for her that had cinnamon and chocolate inside. Minka uses her father's profession as background to construct a novel about an upior, a Polish mythical creature, that she has yet to complete when the Nazis come to power. Minka finds herself in Auschwitz. Her knowledge of German land her in choice jobs including as secretary for the treasurer of the camp. We find out that he is actually a good person and had no choice but to serve his country or he would have disappeared. It is Minka's tale that saves her life as this SS officer wills her to write ten more pages a night, as he is captivated by this story. Because of his own love for literature, Minka's life is spared. Yet her story of the baker's daughter, the upior, and people having the potential to love and hate does not have an ending; as a story within a story, the upior's story is not written in black and white and it is up to the reader to create their own ending. The Storyteller is the second of Jodi Picoult's books that I have read. While not the best of literature, her novels feature multifaceted current events issues that are sure to generate much discussion. In complex characters Sage, Josef, Minka, and to a certain extent, Leo, readers are treated to a complex web of humans and the potential for each person to love and to hate. How they choose to act on these emotions and impulses is up to each person to decide. As with Small Great Things, the other of Picoult's novels that I have read, The Story Teller had not been on my radar prior to reading it, yet I was treated to the type of multilayered novel taking place across two distinct eras that I am apt to enjoy. Perhaps this is a sign that I should not wait for a friend to be reading a Jodi Picoult novel to be moved to read one myself. The Storyteller ended up being a compelling read, and one that I am glad to have joined in on. Jodi Picoult is an author who constantly challenges herself and now has undertaken the events of WW2 to segue her usual bone chilling plots and make an amalgam of sorts. The names of the characters in books generally are not only necessary, but they are also revelatory. Sage is a young woman who has a troubled past and carries enough baggage to qualify as an alcoholic. Only she doesn't. I liked the main characters. One bonus fact is that there are no overwhelming flashbacks in this book. Jodi Pico Jodi Picoult is an author who constantly challenges herself and now has undertaken the events of WW2 to segue her usual bone chilling plots and make an amalgam of sorts. So, to be honest I have been so inundated with research articles, that my free time reading choices have been, well, light. I have been taking on really easy reads due to the fact that my brain hurts. I thought, being Jodi Piccoult and all, that this book would fit into that category, however I was pleasantly surprised. This book was not only extremely well written, but thought provoking and moving. I never considered a book that took various perspectives of the Holocaust, well because I only bel So, to be honest I have been so inundated with research articles, that my free time reading choices have been, well, light. I have been taking on really easy reads due to the fact that my brain hurts. I thought, being Jodi Piccoult and all, that this book would fit into that category, however I was pleasantly surprised. This book was not only extremely well written, but thought provoking and moving. I never considered a book that took various perspectives of the Holocaust, well because I only believed there was one perspective that mattered or that was worth discussing. I don't curse. When I finished The Storyteller, I couldn't craft a coherent sentence. I just sat and thought to myself: damn. Sage Singer bakes bread. It's therapy for her, in addition to the grief support group she attends after losing her mother in a car crash. One day she befriends Josef Weber, a fellow support group goer and an elderly man who is a cherished member of their small town community. Sage soon realizes that Josef doesn't just want her bread: he wants her to kill him. She lear Damn. Sage Singer bakes bread. It's therapy for her, in addition to the grief support group she attends after losing her mother in a car crash. One day she befriends Josef Weber, a fellow support group goer and an elderly man who is a cherished member of their small town community. Sage soon realizes that Josef doesn't just want her bread: he wants her to kill him. She learns that Josef has committed a terrible crime against humanity and that someone in her own family has suffered at the hands of the Nazis. With this connection in mind Sage struggles to make the right choice. Is it her to duty to deliver him from his wicked past, or would she bringing herself down to his level by doing so? Why is it so hard to find out what's right, when faced with someone who's done so much wrong? Jodi Picoult is a master storyteller. For me, the most salient part of The Storyteller was when Minka, Sage's grandmother, shared her story about surviving Auschwitz and the other horrors she endured during the Holocaust. Picoult's writing is so welcoming, beautiful, and piercing that you feel your heart break into another piece every time you flip a page. There's no doubt that what happened to the Jews was horrifying and a testament to the monstrous side of mankind, but when you read Picoult's work, you don't just think "wow, this is horrible" - you feel it, and you remember it, and you resolve that such crimes should never be allowed to happen again. I feel like a lot of the criticism Picoult receives from the literary community stems from the argument that she takes controversial topics and uses repetitive plot structures to exploit them and sell bestsellers. I also feel that The Storyteller is the perfect book to counter that argument, because even though Picoult does use a somewhat similar formula in her novels (family issues, court cases, etc.) she is in no way exploitative, especially with this book. Like she does in her other novels, in The Storyteller she takes difficult topics like forgiveness, trauma, and justice, and makes you feel every blow through her three-dimensional characters. From Sage's scar-induced reticence to Josef's incisive inner turmoil, I rode a gamut of emotions expansive enough to cover an ocean. The Storyteller is Picoult at her prime. She puts a human face on the Holocaust, a tragic, beastly, and horrendous event. She deftly delves into the human psyche and makes you think about what it means to be a survivor, a storyteller, a human. Sage: I actually really disliked Sage in the first part of this book. I'm not sure if this is intentional on the author's part, or if we were supposed to find her character sympathetic, but whatever the case, the result was that I just could not make myself like her. She seemed to me to be very self-effacing, in an artificial 'woe is me' kind of way, from how she felt about her scarred face (which she was really hung up on) to the reasons behind her sleeping with a married man. This latter decision of hers probably lost her the most respect with me, because I can forgive a character a fair number of things, but adultery is something I find it very difficult to get on board with. She knew full well that this guy was married, and yet she carried on this affair with him anyway. I'm sorry, but ugh. To be fair, Sage does improve in the last third of the book, taking some initiative to make changes in her life, gaining more self-confidence, and earning back some of my respect. Her character development is due in part to what she absorbs from the story her grandmother tells her, as it helps Sage put everything into perspective, but also to the fact that she begins a relationship with another (thankfully, unmarried!) guy. This underlying message of 'you can feel good about yourself once you've got a guy's approval' didn't sit that well with me, though. Also, I would like to note that although Sage is 25, to me her voice sounded too mature for her age — more like someone in her thirties. Technically since she is in her twenties I'm counting this one as qualifying for the "New Adult" challenge, but I don't think it captures the voice of a 25-year-old very realistically. Minka: Sage's grandmother, on the other hand, is so much easier to like. Her story, told in Part 2, was probably my favourite section of the book (ironically, since it's the part that deals with all of the atrocities of the Holocaust). Minka is a relatable character you have to feel sorry for, and yet she demonstrates her strength and perseverance time and again. Josef: I can't really discuss him without spoilers. Suffice it to say that the glimpses we're given indicate that he's a very interesting, complex character, and I wish we'd been able to see more of his perspective. This is not to say that Picoult paints all the Germans with the same brush. She takes steps to make sure this is not the case, and the German individuals we are presented with fall in a variety of places on the 'moral spectrum', from the lacking-a-conscience Reiner, to the more ambiguous Franz, to the downright helpful Herr Bauer, Herr Fassbinder, and anonymous farmer's wife. Not all of the Jewish characters are "perfect" either, case in point being Sage herself, of course. I also thought the author brought up an important point about forgiveness — that it helps the person doing the forgiving more than the one who wants/needs it. Nothing I haven't heard before, but it's still a great point to raise in the context of the story. Whether or not forgiveness is possible from someone you did not directly wrong is also introduced as an interesting discussion. Ania's story, which appears in excerpts throughout, does a great job of highlighting many of the themes that underlie the novel as a whole. Concepts of brotherhood, friendship, duty, honour, compassion, helplessness, guilt, and shame are presented in a folktale fashion. If you're finding Part 1 to be slow-going and you're fed up with Sage, I definitely recommend you stick it out until Part 2. I'd also suggest taking breaks with this book. It's hardly a surprise, seeing as this book deals with the Holocaust, but Part 2 in particular is bleak, depressing, and densely packed with information. It's certainly not a quick, easy read. I would like to note, though, that Picoult does an excellent job of integrating all of the information into Minka's personal story. While I think Jodi Picoult did her research about the conditions of the concentration camps, what she presents us with is more than just a set of facts. We come to care about Minka as a person. Partway through Part 3 I started to suspect what the twist was, but I was kept guessing, never totally sure until the revelation actually occurred. I'm glad what I suspected turned out to be the case, because it nicely ties in the story of the two brothers, Reiner and Franz, as well as the tale involving Ania that is interspersed throughout. It also makes this one of those books where a second read-through might be a different kind of experience, now that you know the twist. I kind of wish there had been more closure with Josef and Minka, but closure is not always possible in real life. I wasn't really sure how to feel about Sage's ultimate decision ((view spoiler)[ to help Josef die, but not to forgive him (hide spoiler)]), but it's certainly an interesting choice. The ending seemed a little abrupt to me; I thought more could have been wrapped up, as we don't really know what's going to happen to Sage. Still, it ends a bit unsettlingly ((view spoiler)[ on yet another lie! (hide spoiler)]), leaving the reader with some food for thought. Disclaimer: I received an ARC for review from the publisher. Note: this is an adult book and there is a lot of mature content. 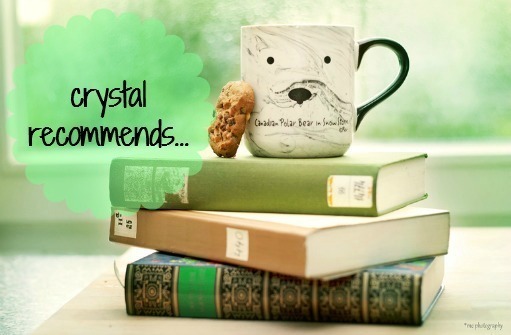 Recommends it for: Everyone, even if not a Picoult fan! 10 STARS!!!!!!! This book wildly exceeded my expectations. This is one of the best book of the year, and easily the finest novel of Jodi Picoult's career. Just an extraordinary book. Words are inadequate. I would give this 4 1/2 stars. This book had me thinking on so many different levels that it's hard for me to sum up my thoughts in a review. This quote sums up a lot of what this book had me thinking about - "not all Jews were victims and not all Germans were murderers." Reading Minka's story of the Holocaust really dives into that statement. A quote from the book, "I do believe in people. In their strength to help each other, and to thrive in spite of the odds." Reading this book made me wonder I would give this 4 1/2 stars. This book had me thinking on so many different levels that it's hard for me to sum up my thoughts in a review. This quote sums up a lot of what this book had me thinking about - "not all Jews were victims and not all Germans were murderers." Reading Minka's story of the Holocaust really dives into that statement. A quote from the book, "I do believe in people. In their strength to help each other, and to thrive in spite of the odds." Reading this book made me wonder if I would have been able to survive those terrible times. I can't imagine having your family members ripped away from you and then to try and carry on day-to-day under normal circumstances let alone horrific ones. The Storyteller is a very compelling Novel from Jodi Picoult and it’s a story about redemption and forgiveness. I had been giving Picoult Novels a wide breath over the past few years as I had felt her books were beginning to take on a pattern which I grew tired of quite quickly. When I discovered that Jodie Picoult was going to take on a difficult and sensitive subject like the Holocaust I really wanted to read this novel. I appreciate how difficult it must be for a writer to write a fictional ac The Storyteller is a very compelling Novel from Jodi Picoult and it’s a story about redemption and forgiveness. When I discovered that Jodie Picoult was going to take on a difficult and sensitive subject like the Holocaust I really wanted to read this novel. I appreciate how difficult it must be for a writer to write a fictional account of such a important and sensitive time in history and am sure they wrestle with keeping actual events and facts in prospective and still provide a plot that is entertaining and interesting for the reader. I think Jodi Picoult manages to achieve a good balance in her latest novel. Sage Singer is a young woman and a baker in a small New Hampshire town and is hiding from the world due to a difficult past when she strikes and unlikely friendship with Josef Weber, a quiet respected and retired teacher and a pillar of the community. Joseph singles Sage out as he has a secret that he has been hiding for 60 years and he tells her his story. The title for this Novel is very apt as there are several story tellers in this book and each with an important tale to tell. One of the stories that really made an impression on me was the Gothic-style tale penned by Minka as I really felt that this tale parallels very well with the horrors of the camps and the monsters that ran them. Oh dear. A perfectly good idea but, sadly, not realised. I don't know where to start in unravelling what is wrong with this. For starters, too long - main protagonist is annoying to the point of wishing... can't say, too controversial. A chapter in the middle that is a novel in its own right but no-one would ever read (already written, several times) mistakes all over (one glaringly bad one at the end regarding the car) - a twist that was expected from the second it was set up (half way in) and Oh dear. A perfectly good idea but, sadly, not realised. I don't know where to start in unravelling what is wrong with this. For starters, too long - main protagonist is annoying to the point of wishing... can't say, too controversial. A chapter in the middle that is a novel in its own right but no-one would ever read (already written, several times) mistakes all over (one glaringly bad one at the end regarding the car) - a twist that was expected from the second it was set up (half way in) and an ending that was stupid beyond description. I know none of that is constructive or academic in any way but the book just doesn't deserve it. I can only think that Picoult moves so many units that the editors are terrified to tell her the bleeding obvious. Devastatingly good. Jodi Picoult weaves some amazing stories and like so many of her other books, this one will break your heart. I was completely engaged all day in this book and though some of it was predictable, I did not expect a lot of it. Trigger: this story does center around the Holocaust so it could be difficult for many to read. The Storyteller is my second Jodi Picoult book. And, I must say it will be hard to better it or even match it. My attention was grabbed right from page one, and my mind didn't wander once while reading. I don't know what to say other than this book was FANTASTIC. It's on my favorites list, and I will be recommending it to everyone for years to come. The last Jodi Picoult I read was House Rules, many years ago, and it has been my favourite until now. I LOVED this book – it evoked so many emotions in me. It was such an amazing and daring subject matter, an old Natzi SS officer at Auschwitz seeking out a young Jewish woman for assisted suicide and forgiveness. Another thing I forgot about Picoult books is the astounding amount of research that goes into her books – specifically in this case the “other” side of the story – how a seemingly normal The last Jodi Picoult I read was House Rules, many years ago, and it has been my favourite until now. I LOVED this book – it evoked so many emotions in me. It was such an amazing and daring subject matter, an old Natzi SS officer at Auschwitz seeking out a young Jewish woman for assisted suicide and forgiveness. Another thing I forgot about Picoult books is the astounding amount of research that goes into her books – specifically in this case the “other” side of the story – how a seemingly normal German boy gets sucked into becoming one of Hitler’s death machines. But it also touches on loyalty and the breaking point this can reach. I really enjoyed all the different stories (that are full and complete on their own) that interweaves throughout. This is a love story, historical fiction, horrendous accounts during the holocaust and dealing with grief and guilt in so many forms. Jodi Picoult has a talent for talking about harrowing experiences – from child abuse to suicide pacts, murder to school shootings – and forcing the reader into the minds of everybody involved. But how is it possible to do this with the Holocaust? As it turns out, very well indeed. The Storyteller begins with Sage Singer, a young woman dealing – badly – with the loss of her mother in a car crash a few years prior. Sage attends a group created for people dealing with grief and it is there she meets Jodi Picoult has a talent for talking about harrowing experiences – from child abuse to suicide pacts, murder to school shootings – and forcing the reader into the minds of everybody involved. But how is it possible to do this with the Holocaust? As it turns out, very well indeed. The Storyteller begins with Sage Singer, a young woman dealing – badly – with the loss of her mother in a car crash a few years prior. Sage attends a group created for people dealing with grief and it is there she meets Josef Weber, a quiet old man who, out of the blue, asks Sage to help him die. Why? Because, back in the 1940s, he worked in a concentration camp as a Nazi SS guard. It is quite astonishing to me that the Holocaust was only 80 years ago; it's really not ancient history. In the last year I've read books that that were published a long time before, but still felt fresh to me. Jodi Picoult almost abandons her trademark style of writing in The Storyteller (you will not find a court case here!) and instead tells a story within a story within a story, which worked remarkably. We're introduced to characters – and their point of view – throughout the story. I became immersed, not confused, as each story progressed and as each piece of the puzzle (because there's always a puzzle!) came together. The Storyteller also respectfully addresses the complicated matter of forgiveness and who really benefits from it. While reading The Storyteller, I did not discover anything about the Holocaust that I did not already know – it is not meant to serve as a history lesson – but it's the first time I've gotten close to thinking about what it would be like to experience Nazi cruelty first-hand. And it was the first time I thought about what Nazis themselves saw, felt and believed. It is brilliantly told and wonderfully wraps together, while still doing justice to its characters – and the real people who suffered. It's a revealing yet unforgiving story, moving between present life as Sage struggles with what Josef has asked her to do, and Minka's torturous story of life as a young Jewish girl under the Nazi regime. Josef and Sage are in the same grief group. He also frequents her bakery and is a stellar, respected member of the community. He is 95, a widower, a retired teacher, ex-Boy Scout leader and Little League coach, and... he was once a Nazi who killed thousands. He now wants Sage, because she is of Jewish descent, to end his life in retribution for what he did during WWII. The revelation of Josef's story as recounted to Sage is just classic Picoult. Nothing is black and white -- he was an innocent b Josef and Sage are in the same grief group. He also frequents her bakery and is a stellar, respected member of the community. He is 95, a widower, a retired teacher, ex-Boy Scout leader and Little League coach, and... he was once a Nazi who killed thousands. The revelation of Josef's story as recounted to Sage is just classic Picoult. Nothing is black and white -- he was an innocent boy; he was a man who got caught up and carried away in the times. His aged self is a combination of that innocence and his tremendous guilt. A combination of good and evil. Sage's grandmother Minka is an Auschwitz survivor, but until now has never revealed her experiences. The same Picoult-ness shines through as we hear about Minka's time in Auschwitz along with a parallel story she had written about monsters. Minka's section, at over 150 wretched pages with no chapter breaks, was almost too much to bear. I grew weary, and then (true confession) guilty for feeling that way when in fact what do I know about weariness and suffering? So really quite clever of Picoult. I am a bit at loss of words as the Storyteller’s story unfolds in the middle of the novel. I have read a few WWII novels and even though the characters are fictional, the story of each single life lost during the holocaust deserves its own written account. And Minka’s strory is aching my chest. “What is the point of trying to put down on paper emotions that are too complex, too huge, too overwhelming to be confined by an alphabet? Minka is Sage Singers grandmother, a holocaust survivor, and she does not appear in the novel as a main character until 2/3 parts into the book. Sage is a baker with heart and soul. She is a bit of a hermit, and baking at night suits her just fine. There in the bakery alone at night, she can continue to bake and spread baked goods made with the recipes passed down to her by her Jewish family. Every week she brings treats to a grief group that she attends to cope with the loss of her mother. Josef, always with a notebook in hand, also attends the grief group. He is in his 90’s and mourns the loss of his wife. Sage and Josef begin an unlikely friendship. They meet for chess games and walks with the dog. We learn that Josef has been an outstanding member of the community. He taught at school, volunteered a lot and coached kids. However, he has a lot of personal baggage that is weighing him down and he makes an unusual proposition to Sage that changes her and his life forever. Will she give in to his request? This novel is set in 3 parts. Sage, her life and meeting Josef. Minka telling her story. And Sage’s changes after Josef’s proposition and her grandmothers story. To me part 1 and 3 were almost not necessary. Minka’s story was so engrossing and harrowing, it would have made a lone standing novel in itself about the accounts of living during WWII as a Jewish family, deportation to camps, loss of friends and family, and recounts of working almost to death and escaping it. I consider the other parts more fluff, but I will give credit for the twist at the end that was cleverly woven in. This book has been highly praised and I can see why. Part 2 of the novel is a 5+star read. I would consider the other parts a 3 star and therefore I am settling on a 4 star rating. The novel is definitely sticking with me. I would reread part 2 again after I take a breather and switch to a bit lighter reading. So if you are interested in a heart wrenching story, this one is for you! How do you forgive someone who has committed a horrendous crime? A war crime against a family member and a war crime against a race? Can you really forgive someone if you are not the actual party who was wronged? Is forgiveness yours to give? The Storyteller is a riveting tale of Sage Singer; a baker that works nights to avoid contact with the outside world, a young woman that has been attending a grief counseling group since the death of her mother 3 years prior. Here she meets an elder man, Jo How do you forgive someone who has committed a horrendous crime? A war crime against a family member and a war crime against a race? Can you really forgive someone if you are not the actual party who was wronged? Is forgiveness yours to give? The Storyteller is a riveting tale of Sage Singer; a baker that works nights to avoid contact with the outside world, a young woman that has been attending a grief counseling group since the death of her mother 3 years prior. Here she meets an elder man, Josef Weber some 95 years of age, a retired beloved teacher. As their friendship develops Josef ask Sage for her help, he wants her to help him die or in Sage’s mind to kill him. Sage refuses until the Josef darkest secrets are exposed – he once was Nazi guard, stationed at Auschwitz. To make matters worse – Sage’s living Grandmother is a survivor of Auschwitz and Josef wishes for forgiveness from Sage. As Sage considers this request will this be murder or justice? A good portion of this book is told by Sage’s Grandmother, Minka. Of her time in Poland, of her time in the Ghetto where Jewish people were forced to live in and finally her time Auschwitz where she watched her mother, father and finally her best friend killed. It is heart breaking and at times very difficult to read. How does one understand how a race can treat another race this way? The Story Teller is a really excellent historical fiction offering by Jodi Picoult. Josef Weber, a former Nazi officer befriends a young girl, Sage. Sage’s grandmother, Minka, is a survivor of the holocaust. Josef has one request for Sage...that she kill him. Minka’s story which makes up the majority of the book is set in the work camps and concentration camps of World War II. These were really horrific, heartbreaking, sickening and realistic accounts of this period, which were extremely well to The Story Teller is a really excellent historical fiction offering by Jodi Picoult. Josef Weber, a former Nazi officer befriends a young girl, Sage. Sage’s grandmother, Minka, is a survivor of the holocaust. Josef has one request for Sage...that she kill him. Minka’s story which makes up the majority of the book is set in the work camps and concentration camps of World War II. These were really horrific, heartbreaking, sickening and realistic accounts of this period, which were extremely well told and very well researched. An interesting perspective in this book was the account of how Josef, his brother and many other young men became committed to the ‘cause’ of Hitler’s Germany. It was seriously scary how easy it was to recruit many followers through words, actions and propaganda. There were however a couple of reasons which stopped me from awarding this book five stars. I did have some issues with Sage’s character at times. She just wasn’t a character that I fully warmed to as much as I wanted. I also found the bread making/baking descriptions initially interesting but then they became slightly boring at times, most especially near the beginning of the book. Personally, for me, these descriptions just went on and on unnecessarily. The ability to ‘forgive’ is at the heart of this book and really makes the reader ponder on ‘blame’, ‘absolution’ and ‘pardon'....leading us to consider perhaps, to what end and in which circumstances, can we as human beings ever reach that state of true exoneration and forgiveness in our own hearts and minds. Overall, this is a page turner of a read which I thoroughly enjoyed and highly recommend. Picoult most definitely did not disappoint with this one. So....holy crap wow! This does not read like a Jodi Picoult novel. I had given up on her a few novels ago when her stuff got too sappy for me. The only reason I chose this was because I was desperate for an audio book and this was in front of my face at the library. I know there are many people who scoff at Picoult with her contrived plots and often didactic storytelling. If you're one of those people, I suggest giving this one a chance. It's different. I would have given it five stars if not fo So....holy crap wow! This does not read like a Jodi Picoult novel. I had given up on her a few novels ago when her stuff got too sappy for me. The only reason I chose this was because I was desperate for an audio book and this was in front of my face at the library. This is a story of a holocaust survivor and her grand-daughter. The whole story is so gripping and engaging that you cannot put the book down unless you finish reading it.